Will that be big or small bills? Although it's not in its old home, the destination for those looking for classic Disney artwork and artifacts is now open. Located in the former bank on Main Street, guest will find plenty of the past to reminisce over. I think it's kind of the perfect place to relocate this collection. 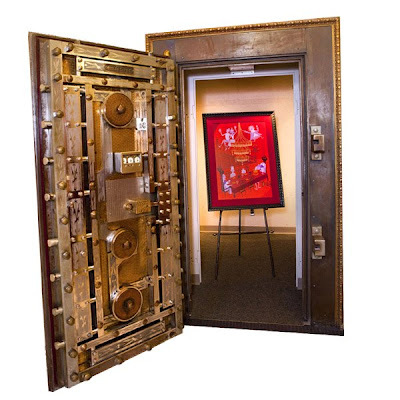 After all, where else could you put valuable treasure than in a bank? And in a vault no less? It looks awesome! A great new location. The only thing I'm going to miss is the courtyard, that was a nice little area. But the details in here are incredible!